Invisalign Patents Are Running Out What Does This Mean For Clear Aligners? Blog Invisalign Patents Are Running Out What Does This Mean For People Wanting Invisalign "Braces"? Invisalign Patents Are Running Out What Does This Mean For People Wanting Invisalign “Braces”? Perhaps you have heard about Invisalign, or maybe you know someone who has gone through clear aligner therapy to get straight teeth. Invisalign is in a category of braces know as “clear aligners.” Invisalign has become the name for this category by many consumers, sort of like Kleenex is for tissues. This is going to be a bit more technical than most posts on our blog, but I hope you can still enjoy the read and learn a little because there Are big, big, changes on the horizon for clear aligner dentistry. Here at McOmie Family Dentistry, we have used three different brands of clear aligners over the years including Invisalign, Clear Correct, and Ortho Clear. We are getting ahead of ourselves, let’s talk a little history and understand this section of dentistry and orthodontics. It was 1997 in Palo Alto, California when Zia Christi and Kelsey Wirth came up with the concept of a clear plastic aligner to move teeth. They were students at Stanford University neither of then had any dental experience what so ever. They raised capital and started a company called Invisalign. They raised millions of dollars and began a massive and very expensive marketing campaign to launch their new enterprise. demand and forced dentists and orthodontists to become certified in Invisalign and offer it as a service to their patients. Direct to consumer marketing was new territory and was something that was totally outside of the box thinking for the dental community. It turns out people really liked the idea of doing their braces without wearing metal brackets and wires. Which makes total sense, nobody likes wearing brackets and wires, especially adults. Invisalign is owned by their parent company Align Technologies. Over the years they have been stockpiling patents aimed at protecting their intellectual properties from likely competitors. Currently, Invisalign has over 400 patents! Patent protection does not last forever, and this October 2017 they have 40 key patents that are expiring! Many of their key patents are expiring on the planning phase of clear aligners. In 2018 and beyond they have an average of 23 patents a year expiring. Invisalign in a huge company by dental company standards and has as close to a monopoly in the field of clear aligners and orthodotic starts as you can get with 80% total market share for clear aligners and 8% market share in orthodotic starts. Invisalign has enjoyed double-digit growth in the last ten years especially, and they are a publicly held company. Last year they had over 1 billion dollars in sales. Ortho Clear – In 2004 Zia Christi left Invisalign and headed out on his own which became Ortho Clear. Ortho Clear was a direct competitor to Invisalign, and the lawsuits flew. After much litigation Invisalign essentially bought Ortho Clear for 20 million and absorbed it by shutting it down. Maybe Zia Christi is sitting on a yacht somewhere enjoying the good life; we have no idea. 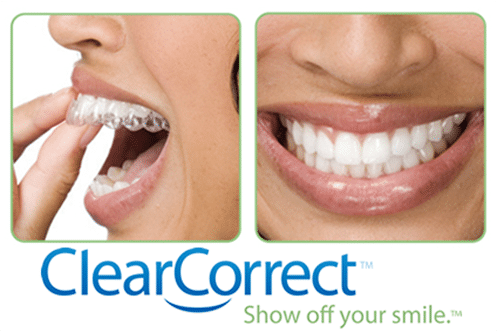 Clear Correct – Clear Correct is the primary competitor to Invisalign. They are a Texas based company, and in 2011 they were named the fastest growing health care company by Inc Magazine. There is a very litigious history between Invisalign and Clear Correct which is really no surprise. It appears they have called a ceasefire since there have been no lawsuits recently and maybe because there is no need to spend money and years in court fighting patent battles when the patents run out in a few months. Clear Correct has proven to be a stable and reliable company. McOmie Family Dentistry has used them successfully for years now. Their prices are lower then Invisalign which allows us to provide treatment at a lower cost to our patients. Smile Care Club – This is an interesting concept and one that has many challenges ahead of it. Smile Care Club is direct to consumer product meaning you don’t go to a dental office to get treatment. You register online, then a kit is sent to you, and you take your own impressions at home. Then aligners are made and sent directly to the patient. Each and every state has its own laws and regulations on dentistry and orthodontics. There is some debate on whether an orthodontist at a remote location is actually providing supervision of treatment or not. Dr. McOmie feels this is a new frontier and will have some court battles to work out. Smile Care Club was sued by Invisalign as well, and the suit was eventually dropped. Now Invisalign has a 17% ownership share in Smile Care Club and makes some of their aligners for them according to Forbes. Whenever patents run out if the product is a good product, then more competition comes in the market. There are many, many, more companies poised to pounce into this market the second the patent expires. The truth is competition tends to drive prices lower and bring more options to any industry. It will ultimately benefit the consumer. Technology is rapidly advancing in many areas that will make clear aligners available for less money. For example, the steps to get to patient treatment has decreased let’s look at this. Before we had an intra-oral scanner at our office we would 1-take an impression, 2- aligner company would pour a model. 3- Aligner company would scan the model, 4- aligner company would design the steps for the treatment, 5- 3D print models for each step of treatment, 6-make aligners for each step on the printed model. Today we 1- Take an intra-oral scan, 2-Alinger company designs steps of treatment, 3- Aligners are 3D printed. That is half the steps and about 1/4 the work. Now the process is much more streamlined. So many companies are getting into aligner manufacturing, and there will be new businesses that pop up overnight offering aligners. With the secret being out there will be many more companies entering this market. Some of the companies that already exist are developing design software. 3 Shape Dental makes our in office intra-oral scanner called a Trios intra-oral scanner. They are coming to market with planning software for orthodontic aligners. We are being told many dental laboratories are buying design software and getting special 3D printers to make clear aligners. There are even orthodontic offices looking into buying their own printer and obtaining the software to make these aligners in their dental offices. We think this is eventually where this technology will land. It is probably a few years away before offices offering clear aligner orthodontic treatment will manufacture aligners in office, but it is coming. The truth is the price of the printers are coming down. These are very exciting times to live in, and technology is amazing. It is delivering a higher quality of life to the masses when prices of things drop. Air conditioning was once considered a luxury item, and now it is hard to find a house without one in a warm climate. Braces at one time considered a luxury item for rich people, have come to the general population. This new technology we think will bring the price lower and will allow teeth to be straightened at a lower price and done by more people. 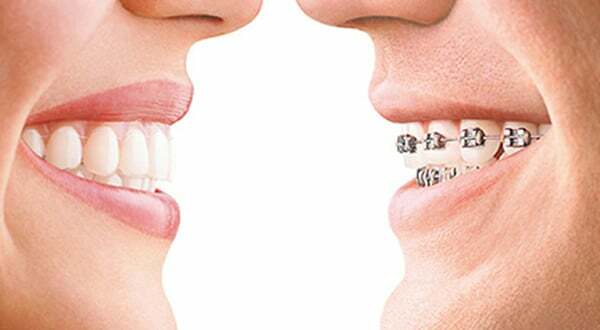 Many people who have worn braces received a wonderful result, only to have them relapse and become crooked again. A person who has had this happen may want braces again but doesn’t want to go through brackets and wires again. Affordable clear aligners are going to be available soon for this population. Who knows what the future holds when it comes to orthodontics and clear aligners, and there may be another excellent product on the horizon that is outside of our current thinking box. We know these are exciting and interesting times. We hope you enjoyed this informative blog post! We love our patients, and as always if you have any questions, please don’t hesitate to call our office, McOmie Family Dentistry 423-899-1112. We would love to hear from you. If you have an idea for a new blog post let us know.